Green Building Tours are a great way to get an in-depth look at what makes these buildings sustainable. Tours are open to campus community members as well as the general public. Student volunteers from EnviroWestern and from the MES program provide one-hour tours, which can be building-specific or visiting several buildings on campus. Each guided walk-through specifically focuses on green features implemented in these projects, such as: Water and energy efficiency measures, environmentally preferable building materials and construction methods and measures to maximize indoor air quality performance. During the tours, we also encourage discussions of sustainability and environmental initiatives. A Green Building Tour representative will contact you shortly with tour details (e.g., maps, parking information, etc.). 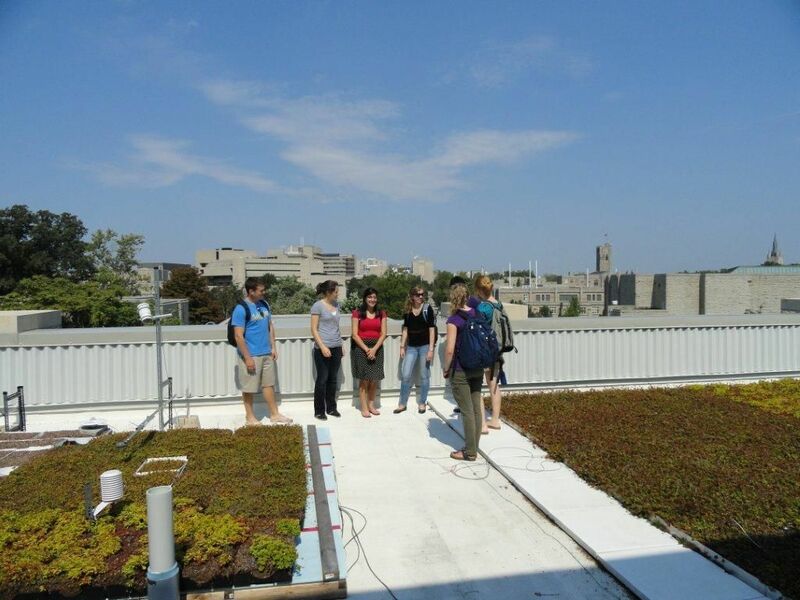 Thank you for your interest in Western's Green Building Tours!